Gold Retains Gains From Its Biggest Daily jump In Nine Months. Gold slipped on Monday as investors turned to riskier assets, but a weaker dollar after a disappointing U.S.
Gold slipped on Monday as investors turned to riskier assets, but a weaker dollar after a disappointing U.S. jobs report pushed back expectations of a Federal Reserve rate hike to early 2016, helped limit the downside. 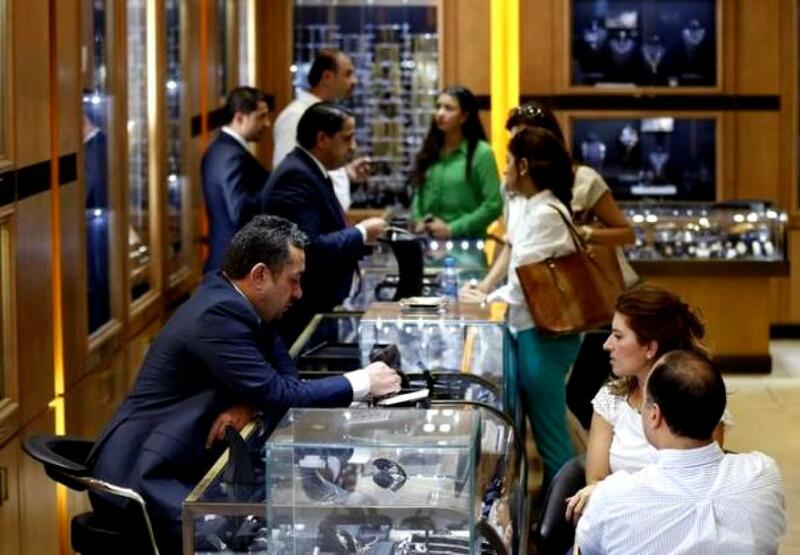 Spot gold eased 0.3 percent to $1,134.50 an ounce by 0933 GMT. The metal had gained 2.2 percent on Friday, its biggest one-day rise since Jan. 15, after data showed U.S. employers slammed the brakes on hiring over the last two months. Nonfarm payrolls rose by only 142,000 last month, below economist expectations of 203,000. Gold, a non-interest-paying asset, had been weighed down all year by expectations the U.S. central bank could soon raise rates and is still down nearly 4 percent this year. Higher rates would increase the opportunity cost of holding the metal. "The interest rate rise is the mechanism by which the (U.S. jobs data) is being rated but the real issue is whether the U.S. economy is slowing," Macquarie analyst Matthew Turner said. "However, other indicators, such as car sales were strong, and we need more evidence on that one before we can come to a conclusion and gold's support could be short lived." The Fed refrained from raising rates at its last policy meeting in September, citing weakness in the global economy and volatility in financial markets. "We think gold's recent resilience is due in large part to growing expectations that the U.S. economy, in conjunction with that of China's, may now be slowing, perhaps persuading the Fed to defer from raising rates just yet," said INTL FCStone analyst Edward Meir. Hedge funds and money managers increased bullish bets on COMEX gold futures and options to a four-week high but cut a silver net long position in the week to Sept. 29, U.S. Commodity Futures Trading Commission data showed on Friday. Silver had also rallied with gold, gaining 5.4 percent on Friday, its sharpest rise since Dec. 2014. On Monday, the metal rose to its highest in two weeks at $15.35 an ounce, before trading up 0.5 percent at $15.32. Platinum was trading up 0.8 percent at $912, after hitting a near-seven-year-low of $888 in the previous session. Expectations of lower demand after revelations last month that Volkswagen falsified U.S. vehicle emission tests, which some believe could affect demand for diesel cars, hit platinum prices. The metal is widely used in auto catalysts, particularly for diesel engines. The metal is trading at its smallest premium to palladium since 2001. Palladium rose 1.7 percent to $707.25 an ounce, its highest since June, boosted by hopes that demand for gasoline cars, where the metal is used in catalysts, could increase.